Web Design Gauteng Globex specializes in web design in Gauteng. We provide website design, website redesign, website hosting and ADSL services. Our office is based in Centurion. We have numerous customers in Centurion, Pretoria and the rest of South Africa. Globex started in 1996 so we are able to offer you a wealth of knowledge. There are numerous website design companies in Centurion and it becomes an almost impossible task to choose the right website design company. More and more businesses in Centurion and throughout South Africa have to rely on their website to generate sales. We have completed numerous website design projects for customers. 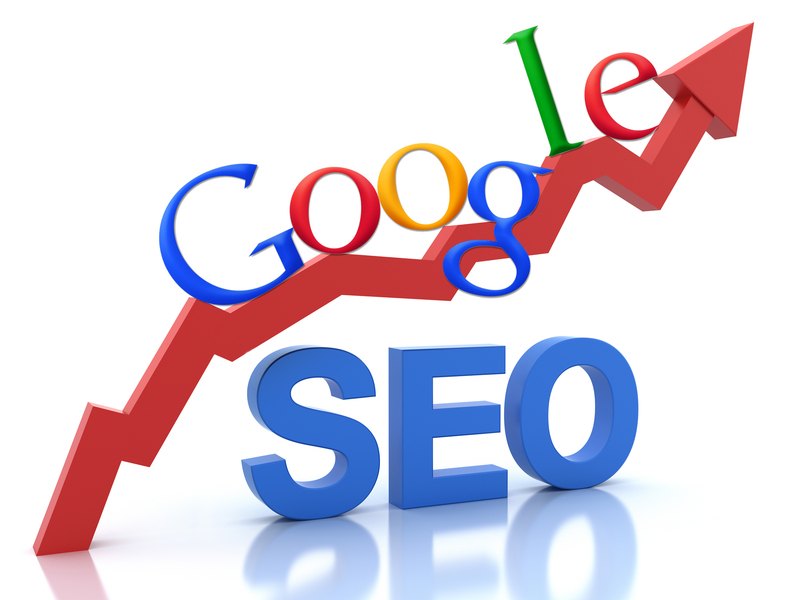 Our main objective is to provide a professional website with very high Google rankings. We also specialize in website redesigns, SEO (search engine optimization), domain hosting, monthly website maintenance and strategic planning to optimize the website presence. All our websites are built on a CMS (content management system) so that our customers can easily maintain their own websites without the help of a website designer. After completion of a website design we also provide training where the customer learn how to maintain their own website. We provide an excellent after sales service and our friendly team of designers most definitely walk the extra mile for each customer. Click here to visit our website design portfolio where you can look at some of the projects that we have completed. We have a unique system whereby approved customers can also pay for the website design over a longer period making it easier on their budgets, so please enquire should you wish to make use of our professional services. We have a passion for business and a passion for our customers. Your One Stop IT Store – We have an IT division that offers a comprehensive range of services including computer sales, computer repairs, network planning, implementation and maintenance, backup solutions, virus removal, software and on-site or remote support. Our highly trained service technicians are the best in the field. 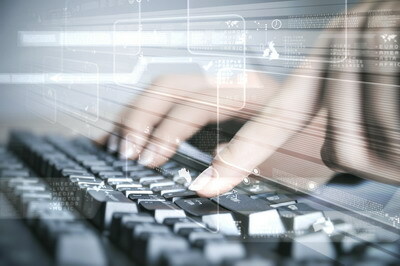 We specialise in the monthly maintenance of small to medium sized companies’ IT infrastructure. What do you need to promote your business locally, nationally or even internationally? A strategically planned online marketing and advertising campaign. A professional website that you can maintain without the assistance of a website designer or webmaster. A website that showcases your products or services. It is critically important for your website designer to have business experience so that your website content is clear, professional and to the point. A website that has the necessary SEO (search engine optimization) tools to increase your visibility and Google rankings. STRATEGIC ONLINE MARKETING AND ADVERTISING CAMPAIGN. 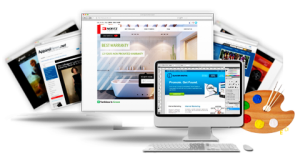 PROFESSIONAL WEBSITE DESIGN THAT COMPLIMENTS YOUR BUSINESS IMAGE. WEBSITE CONTENT PLANNING AND IMPLEMENTATION. Web Design Pretoria Globex specializes in web design in Pretoria. We provide website design, website redesign, website hosting and ADSL services. Our office is based in Centurion. We have numerous customers in Centurion, Pretoria and the rest of South Africa. Globex started in 1996 so we are able to offer you a wealth of knowledge. There are numerous website design companies in Centurion and it becomes an almost impossible task to choose the right website design company. More and more businesses in Centurion and throughout South Africa have to rely on their website to generate sales. Web Design Centurion Globex specializes in web design in Centurion. We provide website design, website redesign, website hosting and ADSL services. Our office is based in Centurion. We have numerous customers in Centurion, Pretoria and the rest of South Africa. Globex started in 1996 so we are able to offer you a wealth of knowledge. There are numerous website design companies in Centurion and it becomes an almost impossible task to choose the right website design company. More and more businesses in Centurion and throughout South Africa have to rely on their website to generate sales. The most important aspect when you choose a domain or web hosting company is their support and their commitment to help. We are geared to provide you with the best service at all times. Globex Internet Services is a registered Internet Service Provider in South Africa. With 22 years experience and state of the art systems, you can rest assure that we will take care of your domain name registrations, hosting and email support. Pricing starts from as little as R19 per month. 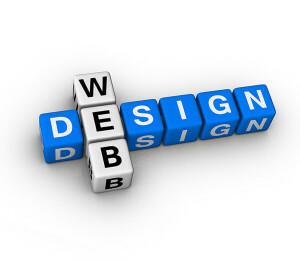 We also provide a professional website design studio so let us manage your entire web presence. The scope of web hosting services varies greatly. The most basic is web page and small-scale file hosting, where files can be uploaded via File Transfer Protocol (FTP) or a Web interface. The files are usually delivered to the Web “as is” or with minimal processing. Many Internet service providers (ISPs) offer this service free to subscribers. 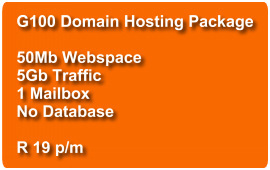 Individuals and organizations may also obtain Web page hosting from alternative service providers. Personal web site hosting is typically free, advertisement-sponsored, or inexpensive. Business web site hosting often has a higher expense depending upon the size and type of the site. The host may also provide an interface or control panel for managing the Web server and installing scripts, as well as other modules and service applications like e-mail. Some hosts specialize in certain software or services (e.g. e-commerce), which are commonly used by larger companies that outsource network infrastructure. 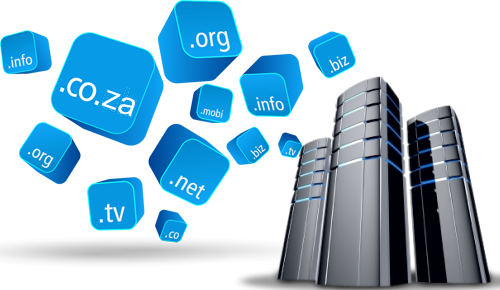 Contact us today on 086 7222 835 for your domain hosting needs. 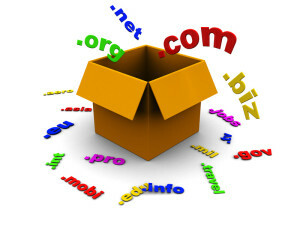 Click here for our application form to get your own unique domain name. Webblad Ontwerp Pretoria – Globex Internet Services bied webblad ontwerp dienste in Pretoria en Centurion. Webblad ontwerp is die ontwerp van ‘n webblad vir besighede. Webblad ontwerp Pretoria ontwikkel ‘n webblad vir ‘n besigheid sodat die besigheid se produkte en dienste sigbaar kan word op die Internet. Daar is baie webblad ontwerpers in Suid-Afrika, maar watter een kies jy? Almal se pryse en beloftes verskil. Elke besigheid het ‘n webblad nodig om suksesvol handel te dryf in vandag se tegnologiese en kompeterende eeu. Indien jou besigheid nie oor ‘n webblad beskik nie; en jou webblad nie sigbaar is by soek enjins soos Google nie; en jou Google ranglys swak is, dan gaan jou kompetisie wat wel die regte webblad ontwerper gekies het baie beter presteer en groei as jy en jou besigheid. Jou kliënte gebruik al lankal nie meer die “Geelbladsye” om vir produkte, dienste en besighede te soek nie. Meeste kliënte handel op verwysings deur vriende of kollegas; hulle “Smart phones”, “Tablets” en rekenaars of skootrekenaars. Wat moet jy in gedagte hou wanneer jy ‘n webblad ontwerper benodig? Hoe lank bestaan die webblad ontwerper besigheid? Hoeveel jare ondervinding het die spesifieke webblad ontwerper? Bevat die kwotasie elke punt wat bespreek is; of is die kwotasie onduidelik en nie volledig nie. Dit kan latere probleme veroorsaak. Is die webblad ontwerper bereid om bestaande kliënte se inligting vir jou te gee sodat jy hulle kan kontak as verwysings? Kan die webblad ontwerper vir jou wys dat sy / haar kliënte se rangorde op “Google” baie goed is? Sal jy jou eie webblad kan onderhou nadat die webblad ontwerper dit klaar ontwerp het? Dit word gewoonlik ‘n “CMS (Content management system) genoem; of gaan jy moet betaal elke keer as jy veranderinge aan jou webblad wil doen? Neem hierdie webblad ontwerper leiding om jou van raad en advies te ondersteun; of verwag hy/sy dat jy self oor alles moet besluit? Daar is regtig geweldig baie punte wat opgenoem en gelys kan word; maar wees tog net versigtig voordat jy blindelings ‘n kwotasie aanvaar of ‘n webblad ontwerper kies. Globex is al sedert 2001 in die bedryf en ons beskik selfs oor ons eie “server”, domain huisvesting fasiliteite en selfs internet koppelingsdienste soos “ADSL”. Ons kan dus ‘n alles omvattende diens bied. ‘n Eenstop diens! Ons het geweldig baie kliënte wie se besonderhede ons graag aan jou sal verskaf sodat jy self kan uitvind hoe hulle ons diens beleef of beleef het. Ek dink alle besighede hou voor dat hulle professioneel, vriendelik en die beste is; maar wat sê hulle kliënte? Ons kan jou nuwe webblad ontwerp of jou ou webblad ‘n nuwe voorkoms en funksionaliteit gee. Ons het kliënte regoor Suid-Afrika en dit is in meeste gevalle nie eers nodig om persoonlik te ontmoet nie omrede afstande soms te groot is. Ons loop graag die ekstra myl en ons integriteit kan nie bevraagteken word nie. Ons bedien ons kliënte van die beste raad en advies en omdat ons al baie lank in besigheid is; kan ons jou ook van baie goeie besigheidskennis voorsien. Website Design Sarric Executive Driving – Globex Internet Services did a website design for Sarric Executive Driving. The new website design Sarric Executive Driving was recently launched. Francois Naude is extremely satisfied with the final outcome. To visit their new website click here. You can also click on their logo to view their new website. We want to thank Francois Naude & Richard Molewa from Sarric Executive Driving for making use of Globex Internet Services. Globex Internet Services is a website design company in Pretoria. We have many customers in Centurion that we have assisted with a new website design. Click on this link to view some of the website design work we have completed. Website Design Portfolio. Globex Internet Services specializes in developing websites in WordPress; a content management system that makes it easy for the customer to maintain their own website after the design has been completed. Is your website Google friendly? Unfortunately many uninformed customers listen to website designers that offer them a cheap solution that will not meet the high standards of Google. Centurion customers can rest assure that Globex Internet Services can prove our customer rankings. We do not just make promises to website customers in Centurion; we deliver. 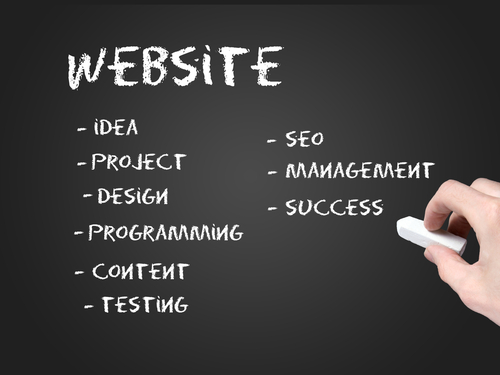 Does your website designer have the necessary experience? Many companies choose the cheapest quotation and expect the best website and with all the functionality. But when a certain need is required from the website designer they cannot do it or they take weeks to complete a simple task. These cheap website designers also undercut the market to gain a market share but most of them only last a few months and then they close down. What are you going to do when your website designer in Centurion disappears? 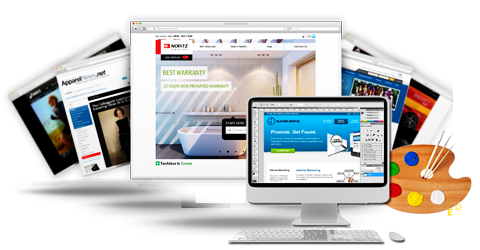 Trust Globex Internet Services for quality, website design experience and excellent after sales service. We’ve been in the website design industry since 2001. We can assist you in Afrikaans or English; we are professional website designers in Centurion and we do things right, the first time. We have many references that you can contact to make sure you are dealing with a reputable website design company in Centurion. Contact us today at 086 7222 835 or info@globex.co.za. Website Redesign Mega Music DJ’s – Globex Internet Services completed a website redesign for Mega Music DJ’s. Mega Music DJ’s are Wedding DJ’s, Corporate DJ’s, Party DJ’s and Videographers in Pretoria They are a one stop shop with everything you need to make your function extra spectacular. Mega Music DJ’s specialize in weddings in Pretoria as well as Corporate events, Birthday parties & School functions. 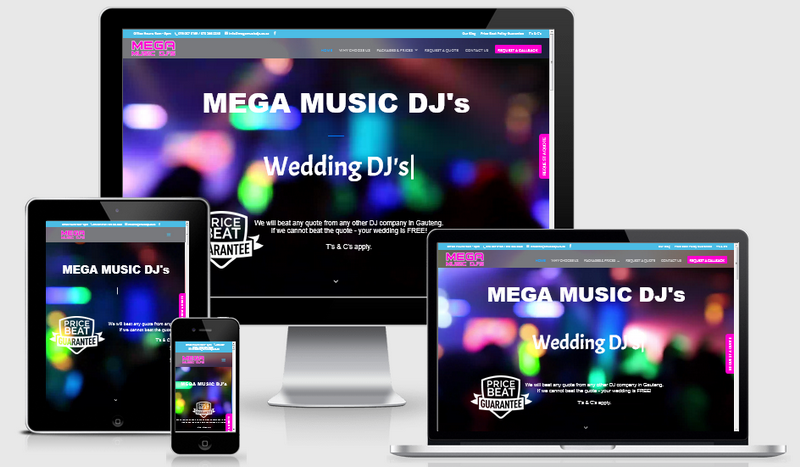 The new website redesign for Mega Music DJ’s was recently launched. Raynhardt, the owner of Mega Music DJ’s is ecstatic with the final outcome and new look of their website. To visit their new website click here. You can also click on their logo to view their new website. We want to thank Raynhardt Helberg from Mega Music DJ’s for making use of Globex Internet Services. Globex Internet Services is a website design company in Centurion. We have many customers in Centurion and Pretoria that we have assisted with a new website design. Click on this link to view some of the website design work we have completed. Website Design Portfolio. Globex Internet Services specializes in developing websites in WordPress; a content management system that makes it easy for the customer to maintain their own website after the design has been completed. Website Design Q Services – Globex Internet Services did a website design for Q Services. The new website design Q Services was recently launched. Willem Greynvenstein is extremely satisfied with the final outcome. To visit their new website click here. You can also click on their logo to view their new website. We want to thank Willem Greyvenstein from Q Services for making use of Globex Internet Services. Computer Repairs Support Centurion – We provide computer repairs support in Centurion and Pretoria. Computer repairs, laptop repairs and tablet repairs. We repair all makes of computers in Centurion and Pretoria. Providing computer repairs support in Centurion since 2001. We are an established computer repair centre in Centurion with more than 25 years experience. Monthly network maintenance contracts available. Our office is centrally based in Lyttelton, Centurion and close to all access routes. We can quickly respond should you require our services at your premises. We have many satisfied customers and we have built a reputation of trustworthiness, professional and highly skilled technicians as well as honesty being key to our computer business. Computer repairs are carried out by highly trained technicians and we take great care of your valuable data. You can rest assured that your computer or laptop is in good hands. We take pride in our work and we have a huge database of happy customers. We have customers across Centurion and Pretoria. 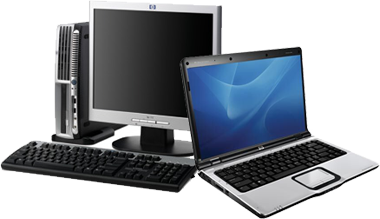 Computer repairs can be carried out at your premises, via remote desktop login software like Teamviewer or if it is necessary we collect your computer or laptop and bring it to our workshop. Our computer notebook and laptop repair centre in Centurion is fully equipped to handle all computer notebook and laptop repairs. We service personal and business computers notebooks and laptops. We can easily troubleshoot your computer notebook and laptop problem and make informed decisions on the most cost effective way to repair your computer notebook and laptop problem. Globex also understands that you have valuable data on your computer notebook and laptop and take extra care not to lose or damage your data. We also understand that you need your computer notebook and laptop as soon as possible and that means that we are quick but also very effective to resolve the computer notebook and laptop problem. We can also replace faulty computer notebook and laptop hardware equipment and clone partitions from one hard drive to another hard drive. We also offer excellent data backup solutions so that you can easily make data backups so to prevent data loss should your computer notebook and laptop fail or stolen. Don’t be frustrated with a slow or damaged computer notebook and laptop. Let us take care of all your computer notebook and laptop hardware problems in Centurion and Pretoria today. Contact us at 086 7222 835. The most important aspect when you choose a website hosting services company is their support and their commitment to help. We are geared to provide you with the best service at all times. Globex Internet Services is a registered Internet Service Provider in South Africa. With 15 years experience and state of the art systems, you can rest assure that we will take care of your domain name registrations, hosting and email support. Pricing starts from as little as R19 per month. We also provide a professional website design studio so let us manage your entire web presence. A website hosting service is a type of Internet hosting service that allows individuals and organizations to make their website accessible via the World Wide Web. Web hosts are companies that provide space on a server owned or leased for use by clients, as well as providing Internet connectivity, typically in a data center. Web hosts can also provide data center space and connectivity to the Internet for other servers located in their data center, called colocation, also known as Housing in Latin America or France. 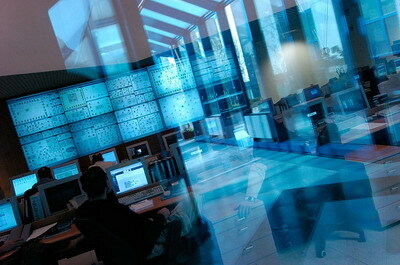 Server Support and IT Infrastructure Management can streamline your daily operations. Globex Internet Services provides additional resources for the purpose of keeping your business current with best technology practices. We can help your company standardize and document server operations providing the expertise to keep your business running efficiently. We will work with you to design a server that suits you and your business with both the present and future in mind. We will work with you during installation to make sure that the server is installed and configured. The end result is a server (s) that can store your business data, automatically backup that data, provide secure remote access capability to your network, and run mission-critical software appropriate to your business. We can help you administer your existing servers, check the setup and offer suggestions for any necessary changes, such as back up solutions or upgrades. Should you run in to any problems we’re on call, via telephone or remote support, and on-site if necessary. Server Support and IT Infrastructure Management can streamline your daily operations. Globex provides additional resources for the purpose of keeping your business current with best technology practices. We can help your company standardize and document server operations providing the expertise to keep your business running efficiently. Increasing technology and business challenges such as virtualization, server migrations and data center consolidation requires a robust, yet flexible server management plan. With mission-critical applications running in a server environment, a break-fix solution is simply not an option. Contact us today on 086 7222 835 or info@globex.co.za. Website Design Gauteng – Globex specializes in website design Gauteng. We provide website design, website redesign, website hosting and ADSL services. Our office is based in Centurion. We have numerous customers in Centurion, Pretoria and the rest of South Africa. Globex started in 1996 so we are able to offer you a wealth of knowledge. There are numerous website design companies in Centurion and it becomes an almost impossible task to choose the right website design company. More and more businesses in Centurion and throughout South Africa have to rely on their website to generate sales.